The products we offer at ALCOLOCK are the best you’ll find in the industry. How do we know? Because we control the entire process and develop our own products. That way, we can control the quality from inception to production. We’ve never been satisfied with offering a single device or reselling an existing line of products. Instead, we’re wholly committed to immersing ourselves in the industry. We’re proud to have established a reputation for being experts in our field. We’ve stayed at the top of the industry by developing a wide range of high-quality products that span the entire gamut, from lab equipment to devices that aid program facilitators to the breathalyzers and products the consumer uses throughout their program. DrugWipe S is one of the quality products we offer to help make the road to license reinstatement and independence as easy as possible. DrugWipe S is a drug screener that tests for controlled substance in saliva. 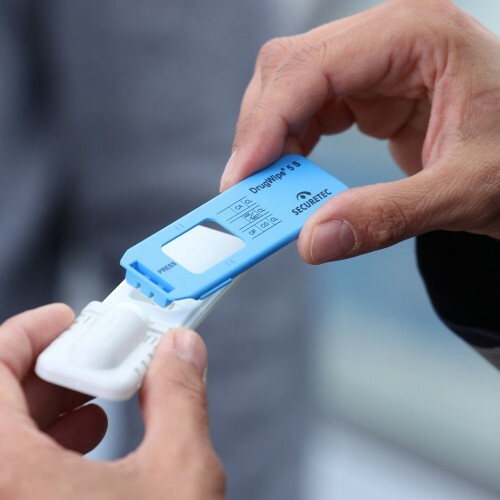 The DrugWipe S can test for different drug groups, including: Cannabis, opiates, cocaine, amphetamine, methamphetamines (MDMA, ecstasy) and benzodiazepines. 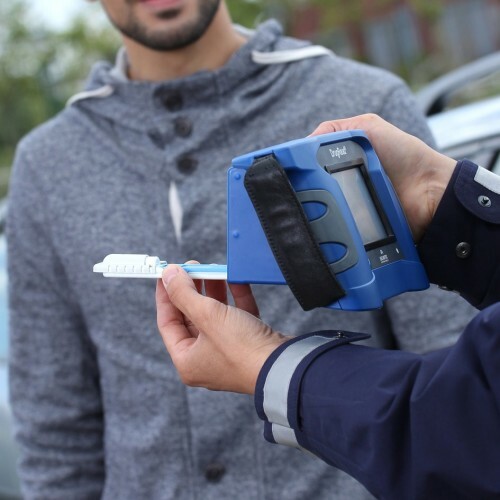 The DrugWipe S allows you to test for one substance or a few substances at the same time. It is convenient, hygienic and provides reliable results in less than 10 minutes. Our DrugWipe S is a drug screener that relies on testing saliva. Here’s what you can expect from the DrugWipe S.
Hygienic drug screener designed for one time use. Your test results will be available in less than 10 minutes. Detects many different controlled substances: cannabis, opiates, cocaine, amphetamine, methamphetamines (MDMA, ecstasy) and benzodiazepines. Provides you with reliable results that you can trust. * Minimum order quantities have to be met. 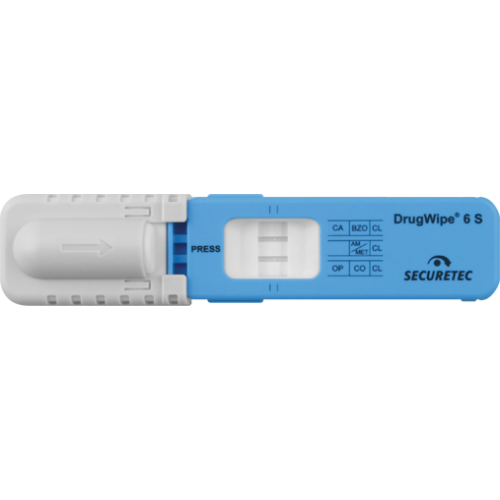 ALCOLOCK’s DrugWipe S is just one of the wide range of products and services we offer. Whether you’re a driver looking for ways to successfully complete your program or a facilitator seeking to add to your existing line of offerings to better serve your client base, we have many options that can help you reach your goals. Check out our shop for more best-in-class products and services developed specifically to help you succeed.